Still Waiting On Your Asbestos Settlement? 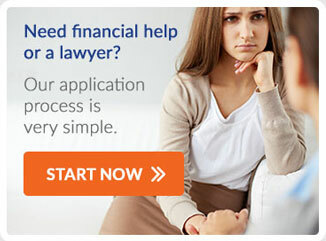 Pre Settlement Funding On Mesothelioma Lawsuit Settlements Now Available! Early in our country’s history, asbestos was a popular material to use in construction projects. It was commonplace in the materials used for roofing, flooring, insulation, and even auto parts manufacturing. In these early days, the mineral’s strength and heat resistance were seen as benefits that would help protect consumers. This carried on until about the 1930s when scientists first found the link between asbestos and cancer. It took almost 60 years before the Environmental Protection Agency decided to ban the use of asbestos in new projects. But exposure to asbestos didn’t stop then, since the tear down of older-model homes and buildings, including schools, continues to expose individuals to this toxic element today. Individuals exposed to asbestos fibers are at high risk for a lung cancer called mesothelioma. This rare and aggressive disease can arise even from very limited exposure to asbestos, such as breathing in the fibers that rest on someone else’s clothing. The more you work with asbestos, the more you expose yourself and your loved ones to the risk of developing mesothelioma as well as the other cancers. One of the most confusing things about the link between asbestos and cancer is that no signs of the disease may be found for as long as 40 years after the individual came into contact with the fiber. Luckily, there are specific symptoms that doctors can look at to see if the disease is related to asbestos exposure. The U.S. Department of Labor has set up programs to help workers whose employers have exposed them to asbestos, but a personal injury lawyer can do more than just assist you. A personal injury lawyer can help you recover medical expenses and lost wages due to asbestos-related illnesses while also securing additional funds for pain and suffering and loss of future wages when working becomes impossible. At Pravati Capital, we want to be your strategic partner from start to finish. As such, we can help you find an attorney best suited to fighting for the recovery of your damages. But more than that, we can even help you get financing before your case is settled so that you can meet your various financial obligations even before you’ve won a settlement. This can allow you to continue getting the treatments you need and help you make your family whole again. Blood coughed up from the lungs. If you believe that you are experiencing side effects from Asbestos/Mesothelioma, see your doctor for diagnosis.